A Gurn from Nurn: Time to grow your own? Could scenes like this become more common place in the local landscape as the price of food in the shops continues to rise? The Gurn has heard that a local organic farmer is considering letting out a section of his land to folk wishing to establish allotments. Let's hope something comes out of that proposal. 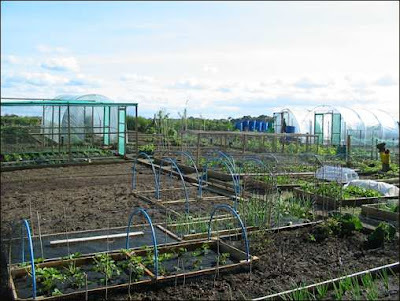 A little further afield a group in Elgin is trying to start allotments in the town and believe that they have succeeded in persuading a developer to give them land.